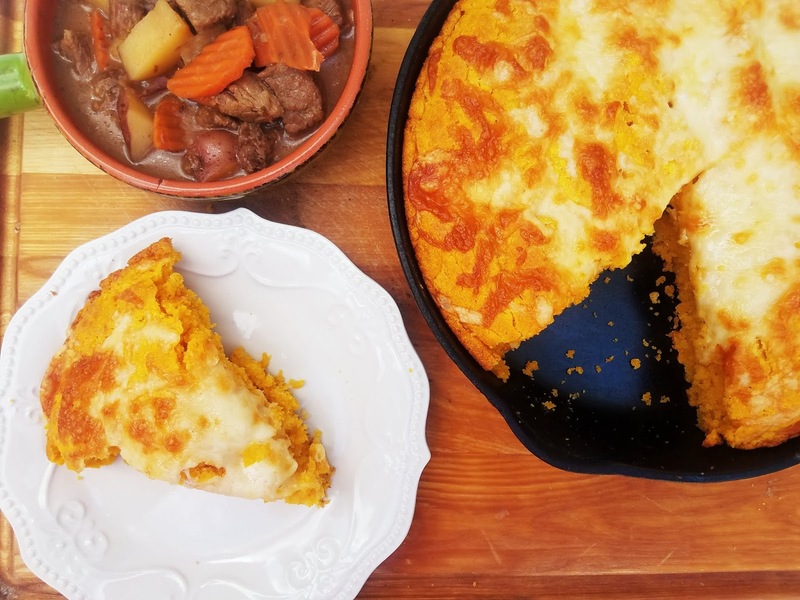 This Pumpkin Cheddar Skillet Cornbread is the best cornbread you'll eat all season! It's so moist, and full of flavor, you won't even believe there is Pumpkin in it! The Cheddar and cream cheese add a sharpness and creaminess, and the pumpkin adds a boost of moisture and very subtle sweetness that makes this a guaranteed fight over the last slice! Sponsor Shout Out: Cabot Cheese is one of our amazing Sponsors for Pumpkin Week! They have great Cheeses, including cream cheese. 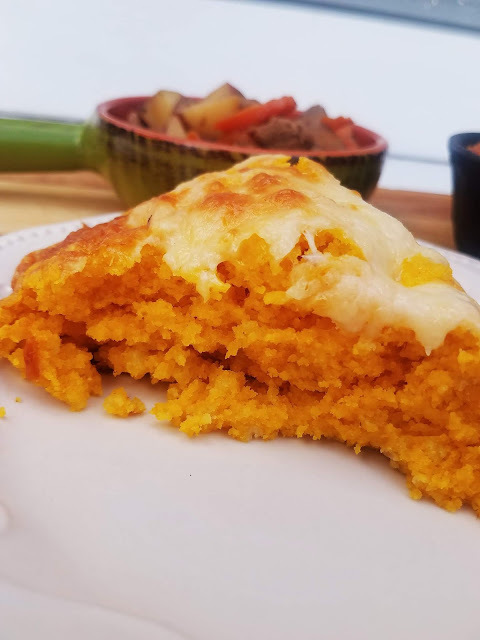 So when I was looking for a way to use the amazing products I received from them for our great week of Pumpkin Recipes, I knew this recipe from Melanie Makes was the one to use! 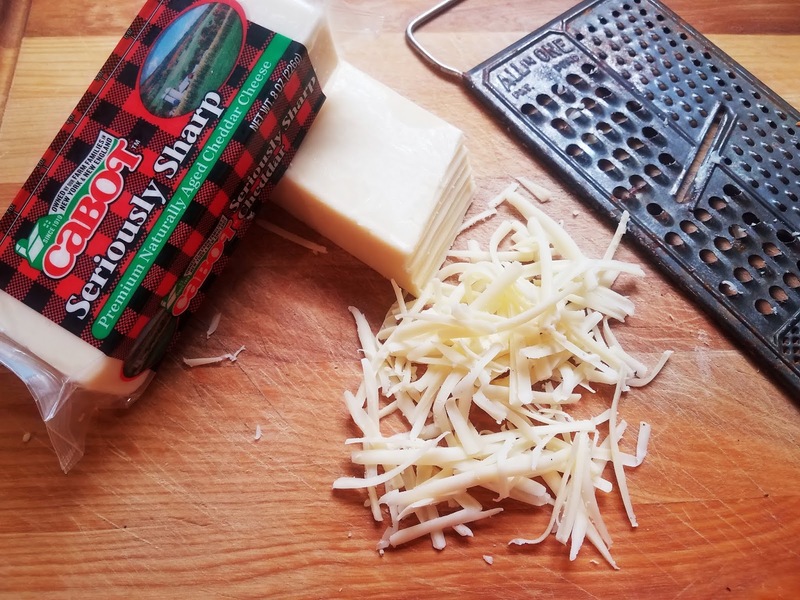 With their great variety of cheese varieties, this recipe is the perfect test recipe for all their cheese blends! With Fall here, It's the time for Stews, and soups, which of course need that perfect wedge of cornbread on the side! 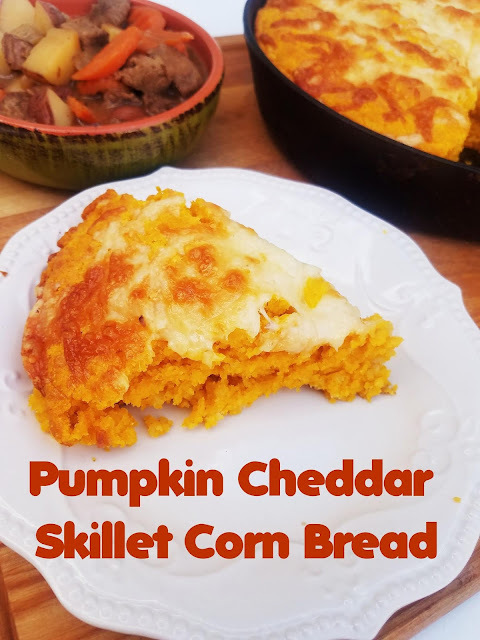 This twist on the classic cornbread will just wow your family! Do not be surprised by the pumpkin, it will add an amazing amount of moisture, a touch of sweetness, and of course a pop of color. It will NOT taste overly pumpkin, that I promise you. It will taste like cornbread! But wow is it amazing cornbread! This recipe adds in cream cheese and shredded sharp cheddar cheese into the batter as well. So you can just imagine that touch of salty and sweet blended together. They are the perfect balance! I've literally never had such a moist cornbread with so much flavor before! This one is a keeper!! I love a drizzle of honey over mine. So grab that honey bear out of the cupboard for this one, I think you'll love it too. 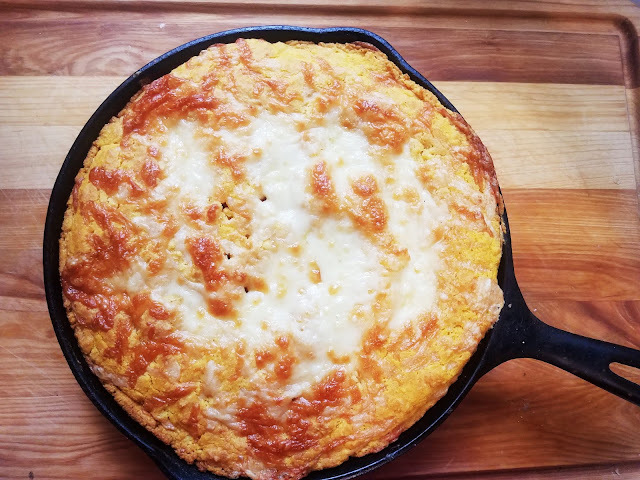 Yes, I use a Cast Iron Skillet for my corn bread. I even bake a double batch in 2 skillets and carry those heavy things on over to the church for the Chili cook off, 'cause we all know cornbread from a cast iron skillet just tastes better!! That batter sizzling in that hot oil or butter and then baking in the oven creates such a delicious, heavenly thing... Yum. I think I'll go sneak a piece while I type this up! Ok, I should get busy sharing the recipe with you now! Preheat oven to 400 degrees. Place 12 inch Cast Iron Skillet in oven for 15 minutes while preparing batter. In a large saucepan over medium-low heat, melt 7 tablespoons butter. Stir in cream cheese and 1 cup cheddar cheese until cheese is melted and well blended. Remove from heat and stir in flour, cornmeal, baking powder, and salt until just combined, being careful not to over mix. Stir in milk and pumpkin until just combined. Carefully Remove pan from oven and add remaining tablespoon of butter. Tilt pan so that melted butter covers entire bottom of pan. Pour batter into heated pan then top with remaining cheddar cheese. Bake for 25 minutes or until a toothpick inserted into the middle comes out clean. (May need an extra 5 minutes or so).